To celebrate the 50th anniversary of the opening of the Sepilok Orangutan Rehabilitation Centre (SORC) I thought I would write a short post on Ceria, an abandoned and orphaned Orang Utan we adopted a few years ago. Ceria was brought into Sepilok in 2007 aged 11 months, dehydrated and malnourished, weighing only 2kg. Shortly after arriving at SORC, Ceria was rushed into intensive care, and after a good two years of constant care, he started to show good signs of recovering. 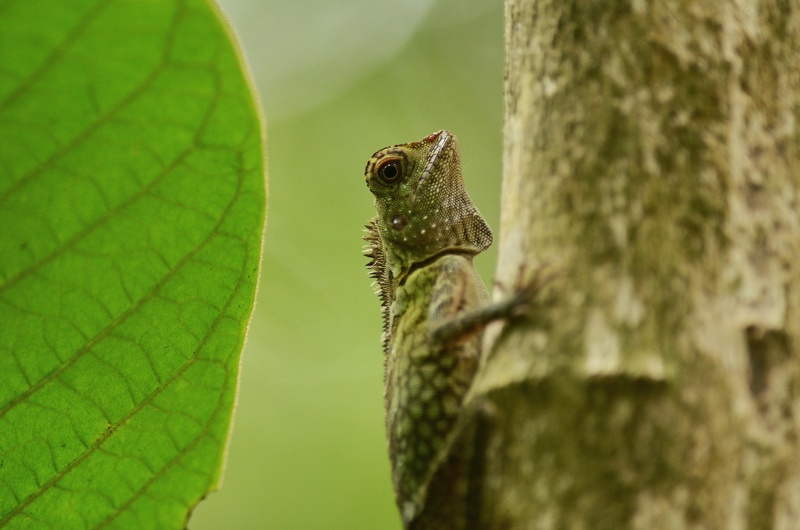 From 2009 onwards, Ceria started to develop the skills needed to be released back into the Kabili Sepilok Forest Reserve, which surrounds the rehabilitation centre. After a further two years of hard work and patience, Ceria was finally released back into the wild into the Kabili Sepilok Forest Reserve, by this time Ceria was weighing a healthy 20kg. During our last visit to SORC in 2012 we where lucky enough to catch a glimpse of Ceria, and it is fair to say he is looking healthy. I believe from time to time he still comes into the semi-wild area of SORC, but now he also has the choice to roam the wilds of the Kabili Sepilok Forest Reserve as he was first meant to. Our small annual donation of approximately 300 Danish krone (£30, €40, US$45) was a small investment compared to the wonderful and loyal local staff as well as the volunteers. 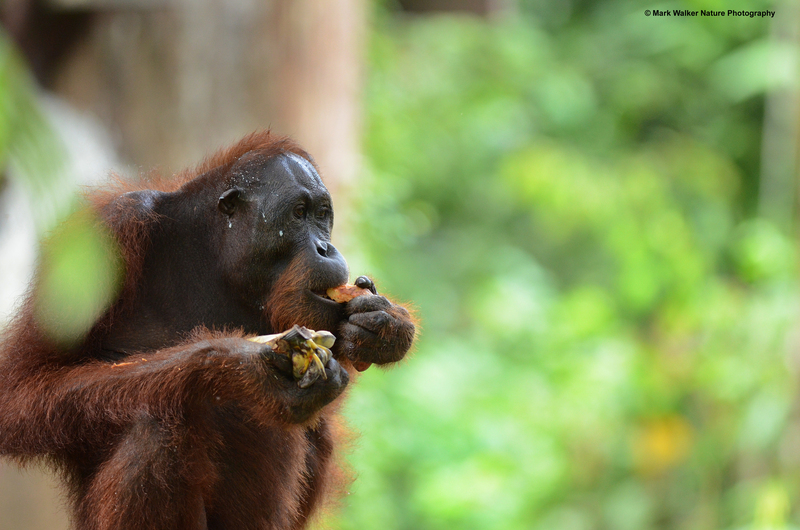 Hopefully SORC can continue to thrive and protect the Orang Utan for future generations to see. I plan to post a number of articles on “hotspots” where I have been on my travels, the first one is of a great place in Northern Borneo, Malaysia which is world class when it comes to birding, and is within walking distance of the world famous Sepilok Orang Utan Rehabilitation Centre. I have set up a new page on the blog to link all of the hotspots in one centre location. Enjoy, there will be more to come! I am lucky to have been here a few times, and trust me I see something new on every visit, and still I have “dipped” on a few sort after species. A good reason to return I suppose. 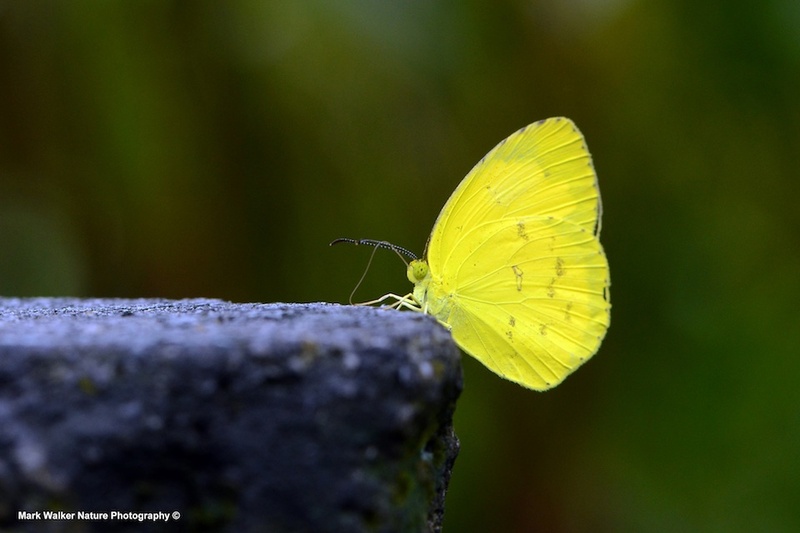 The Rainforest Discovery Centre (RDC) has evolved out of a local environmental education centre in 1996 into one of Sabah’s most popular sites for visitors and locals alike, especially though for visiting birders. It is a within the famous Kabili-Sepilok Forest Reserve, home of the orang utans at the Sepilok Orang Utan Rehabilitation Centre (SOURC) as well as in the wild, and only a couple of hours from Gomontong Caves and the Kinabatangan River, both famed for is ecology. The best part of RDC though is the 800-metre Rainforest Discovery Train and the trails on the canopy walkways, three at the last count. The 147m long, 28m high canopy walkway and the three canopy towers let you see the rainforest the way an orang utan sees it. For birders there are more than 300 species of birds here, including the rare Bornean bristleheads, Black and crimson pitta, Blue-headed pitta, Giant pitta, Black hornbill, Rhinoceros hornbill, Ruddy kingfisher and much, much more. Although the main purpose of the RDC still remains as an environmental education centre for students and teachers, it has been open to the public for a number of years now. since August 2007. If visiting SOURC then it is a must to also visit the RDC. If you are planning a trip to Borneo and want to visit this or other area’s of natural beauty then contact a local friend of mine, one of Borneo’s top birders, CK Leong at borneobirds.com A great guy and an amazing birder. Note, all proceeds from ticket sales (small charge) are used to sustain the centre. Sabah, what a wonderful and amazing place and having a brother-in-law managing one of Asia’s top eco resorts in Sabah has some benefits. The trouble is, Borneo’s northernmost state of Sabah is so rich in treasures that it’s hard to know where to start, and once you get stuck in there’s always just that one more thing you want to see. Although our recent visit was our third family holiday, I feel the surface has still only been scratched. Borneo is the third largest non continental island in the world and is located east of peninsula Malaysia and Singapore. The island is divided among three countries: Brunei, Indonesia and Malaysia. The Malaysian states of Sabah and Sarawak in the north occupy about 26% of the island. The oil rich sovereign state of Brunei, located on the north coast, comprises about 1% and the rest belongs to Kalimantan. Home to the oldest rainforests in the world, Borneo is surrounded by the South China Sea to the north and northwest, the Sulu Sea to the northeast, the Celebes Sea and the Makassar Strait to the east, and the Java Sea and Karimata Strait to the south. The Borneo rainforest is 130 million years old, making it the oldest rainforest in the world. 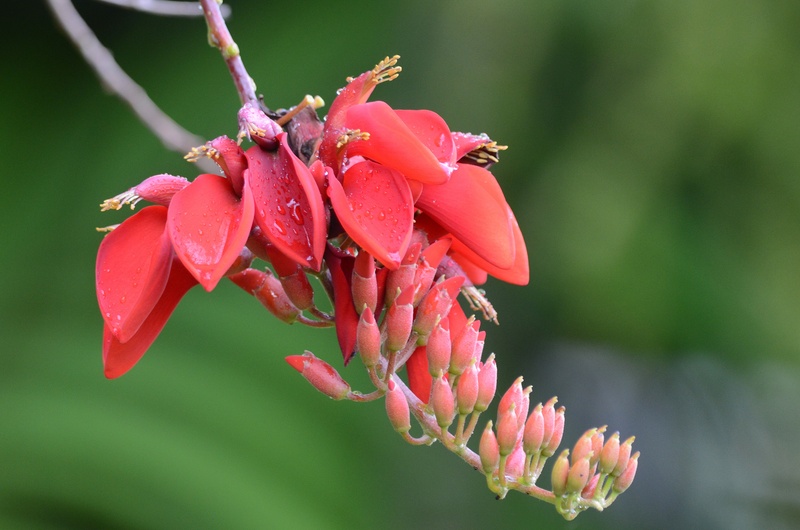 There are about 15,000 species of flowering plants with 3,000 species of trees, 221 species of terrestrial mammals and 420 species of resident birds in Borneo, with further observations of more than another 210 been sighted in Borneo. The island historically had extensive rainforest cover, but the area has shrunk due to heavy logging. Unbelievably, half of the annual global tropical timber acquisition comes from Borneo. Furthermore, Palm oil plantations are rapidly encroaching on the last remnants of primary rainforest, and as you can imagine thus puts a strain on the remaining endangered and non-endangered wildlife species. The Borneo rainforest is one of the only remaining natural habitats for the endangered Bornean Orangutan, it is also refuge for a number of endemic forest mammal species, including the Asian Elephant, the Sumatran Rhinoceros and the Bornean Clouded Leopard, although I have not managed to see any of these on our three visits. Maybe on the fourth visit, possibly Danum Valley and Tabin? Highly intelligent, displaying advanced tool use and distinct cultural patterns in the wild, Orangutans share approximately 97% of their DNA with humans! 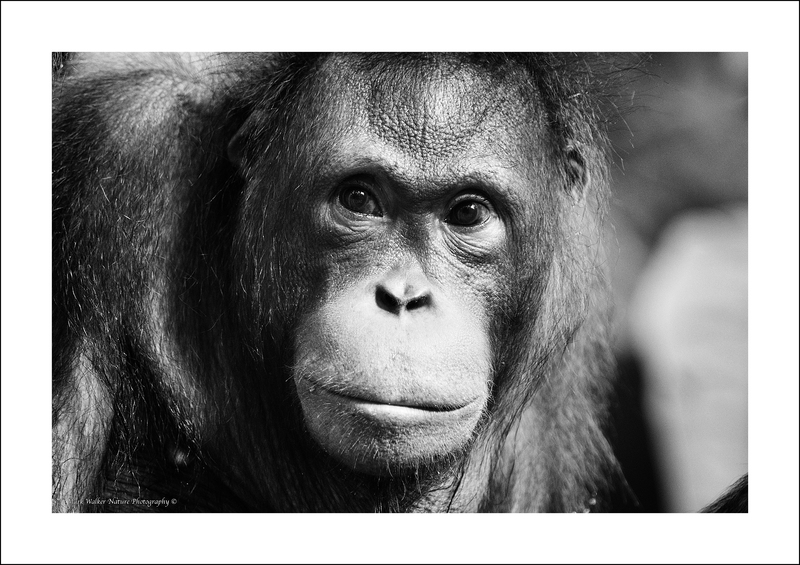 The Bornean orangutan is endangered, and according to the IUCN Red List of mammals. 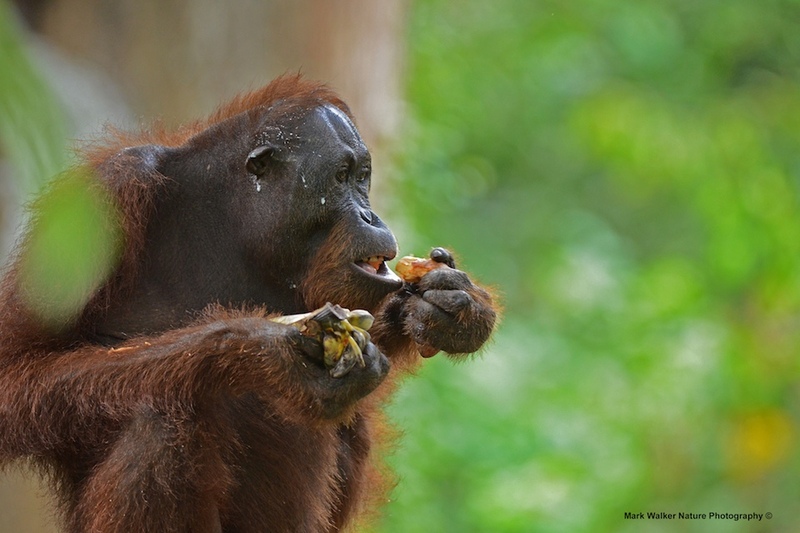 The total number of Bornean orangutans is estimated to be less than 14% of what it was in the recent past, with the sharpest decline occuring mostly over the past few decades. Although the “ship has steadied” over the past few years, the vast global thirst for palm oil products continues and this risk will always hang over the Bornean Orangutan. The first post here is of a remarkable monkey, the proboscis monkey. Distinguished by its prominent nose, the endangered proboscis monkey lives only on the island of Borneo, where deforestation threatens its continued existence in the wild. The proboscis monkey or long-nosed monkey, known as the bekantan in Malay, is a arboreal Old World monkey that is endemic to Borneo, never straying far from rivers, coastal mangroves, and swamps. 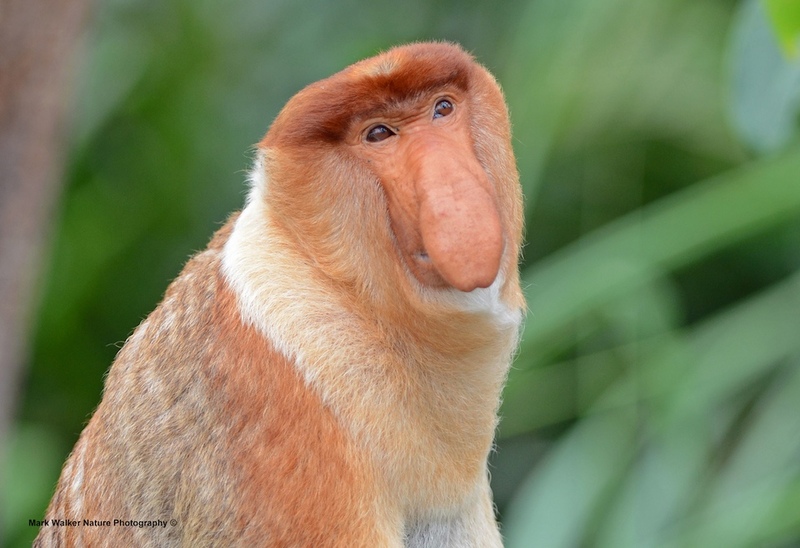 The proboscis monkey also goes by the Malay name monyet belanda meaning “Dutch monkey”, or even orang belanda meaning “Dutchman”, as Indonesians remarked that the Dutch colonisers often had similarly large bellies and noses. True, maybe? I will leave this up to you to decide for yourselves. Quite a big fellow, the proboscis monkey comes in at around 15 to 23 kg (males), although one chunky specimen of 30 kg has been known. On average the female in 50% smaller. This is surprising, considering they survive mainly on a diet of un-ripened fruit, leaves and seeds, and occasionally the odd insect or two. So, what’s with the nose? Now, you all being an educated crowd, you will know a proboscis is an elongated appendage from the head of an animal. This appendage can measure up to 10cm long for the male, again the appendage/proboscis of the female is smaller than the males’ but still large for a primate. Now, would you believe it, male proboscis monkeys use their fleshy, pendulous noses to attract mates, I know what you are thinking, but it’s not true. Actually, scientists think these oversized “organs” create an echo chamber that amplifies the monkey’s call, impressing females and intimidating rival males. Whilst in Borneo we were lucky enough to see two big groups, one group composing an adult male, some adult females and their offspring and a second larger group consisting of the “boys”, approximately twenty males. I believe this structure is quite common for the species. Unlike other monkeys (especially the long-tailed macaques we saw) proboscis monkeys are not aggressive, other than the usual squabbling between the male-group males and the alpha male of the family group. 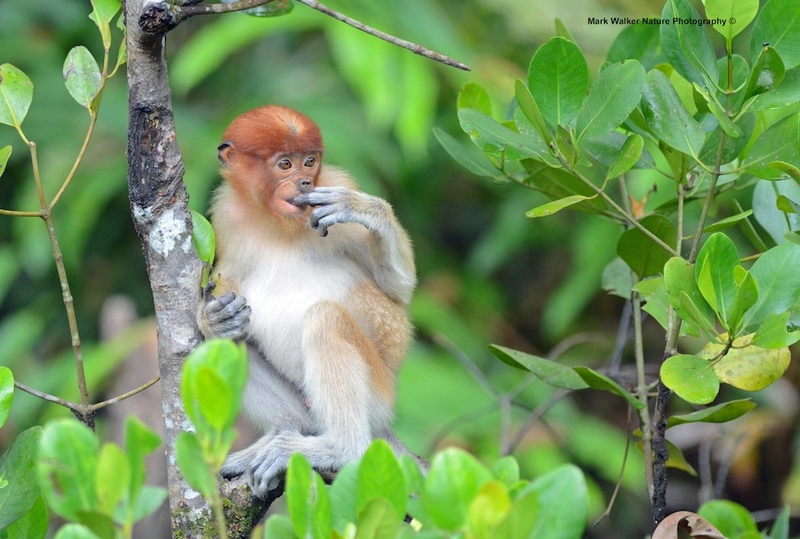 Unfortunately, Borneo’s most threatened landscapes are home to these highly specialized primates. Over the last 40 years, proboscis monkey populations have plummeted. 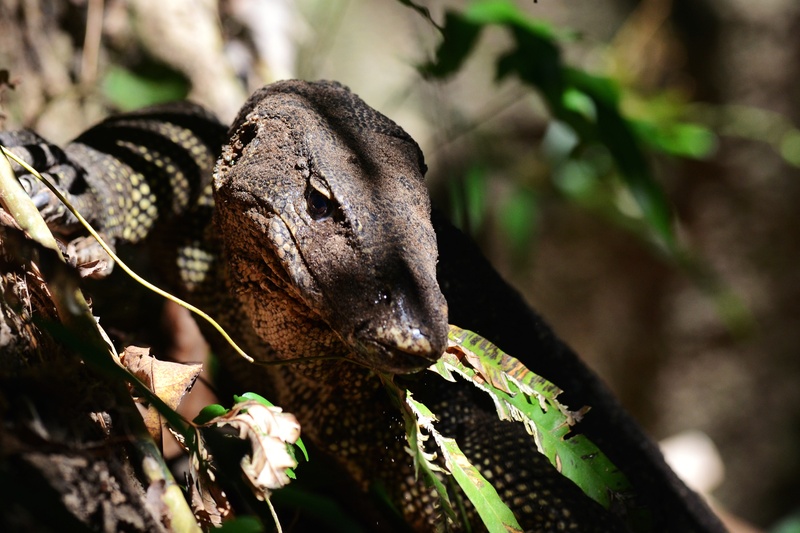 They are currently protected from hunting or capture in Borneo and are listed as an endangered species. Its total population has decreased by more than 50% in the last 40 years. The continued clearing of the region’s rainforests for timber, human settlement and, especially oil palm plantations in Sabah has depleted huge tracts of their habitat. The fragmentation of the monkeys’ range means they are being forced to descend from the trees more frequently and often must travel longer distances to find food. This bringing them into contact with their predators, which include crocodiles, clouded leopards, eagles, monitor lizards and pythons, and some native people who consider proboscis monkey a delicacy. Interesting, didn’t see any monkey on the menu’s in the food courts, but we did see few slabs of cheval?